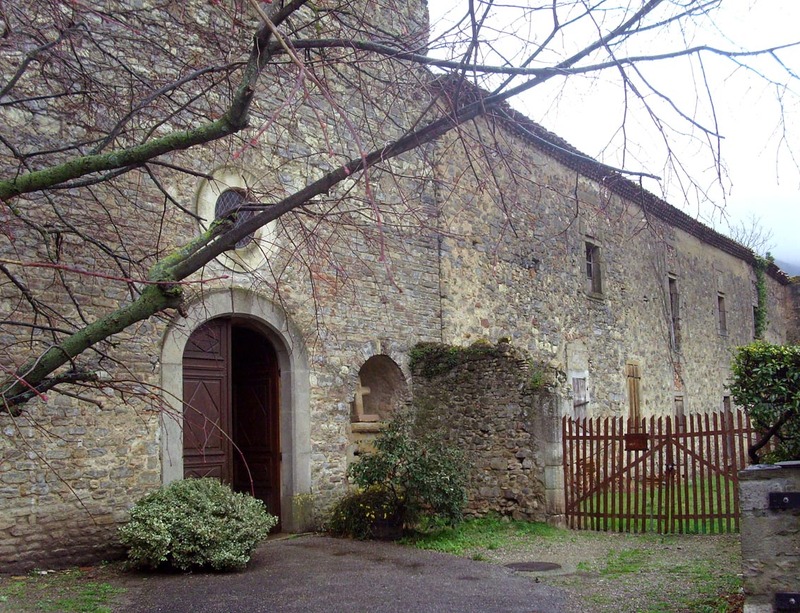 The village is situated on the D129 to the south of Limoux, pick up the road on the eastern side of the river in Limoux and continue for some eight kilometres. Three kilometres further on is the tiny hamlet of "Benoît." Interesting, because the abbey was founded in 780 by St Benoît, a friend of Guilhem de Gellone. The two were Visigothic, towards the end of the Visigothic period, when the Visigoths had started to intermarry with the Carolingians and were giving themselves French names. And so, of course, French historians call this place "Carolingian." 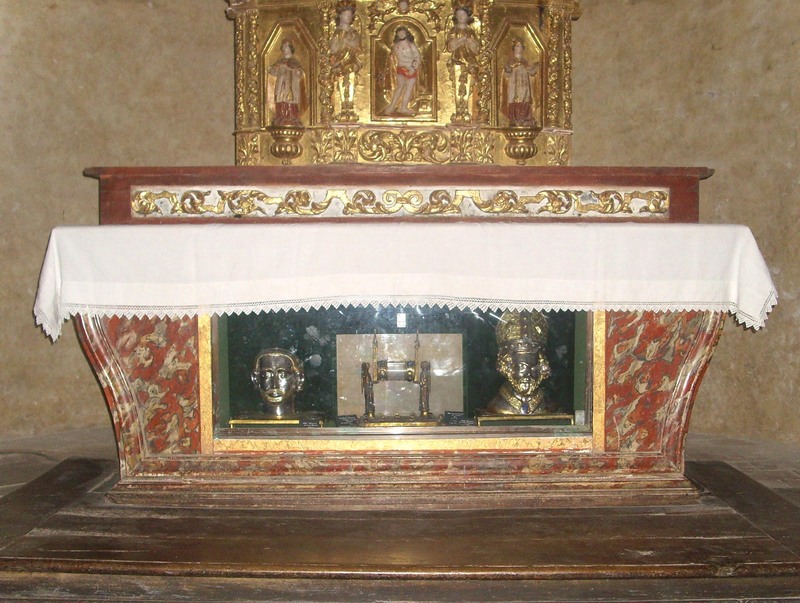 The head of St Benoît (pronounced Ben-wah) is incorporated in the altar; the head on the left is that of St. Polycarpe. They say that Polycarpe was a saint of the ninth century, not the 8th. The founder of this abbey was Benoît, his Visigothic name was Witiza before he changed it to Benoît, because he wanted to revive, in Languedoc. 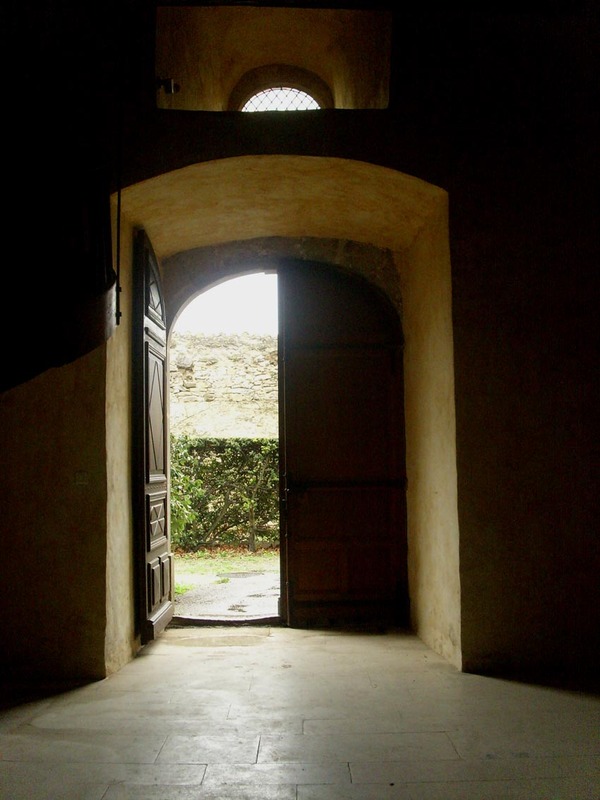 the monastic life of St. Benoît of Nursie. 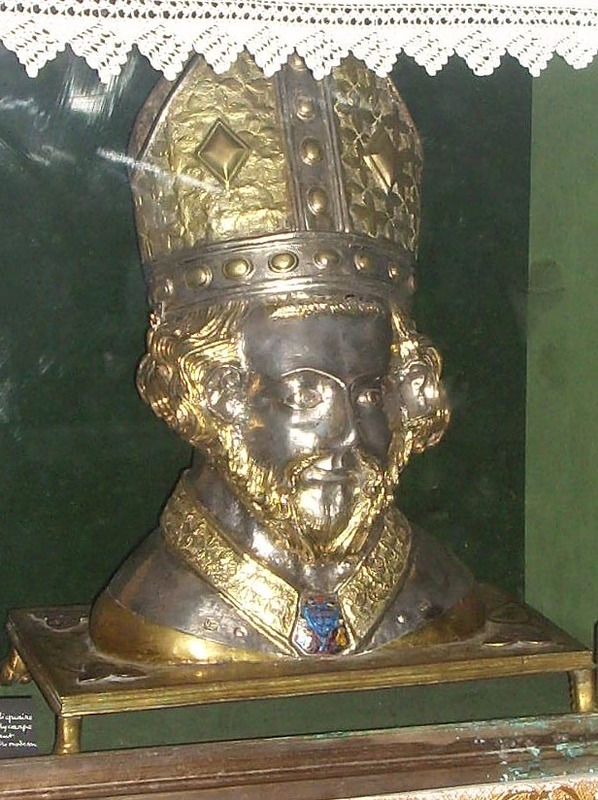 He founded St Polycarpe, that's certain, but we don't know why it was re-named afterwards. 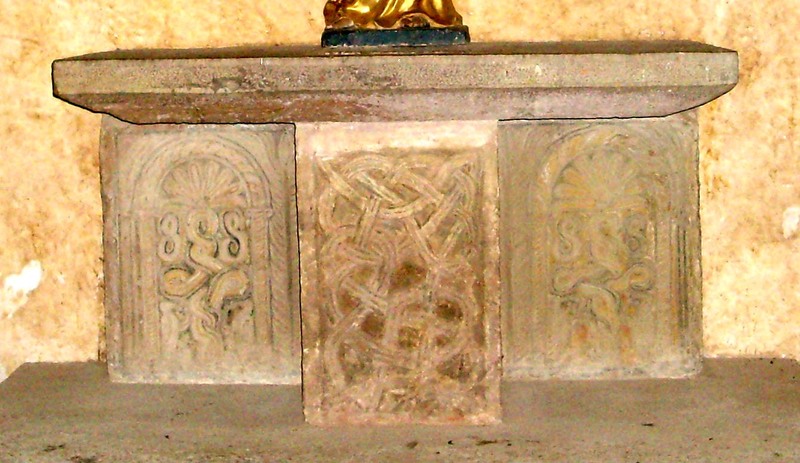 I enlarged the picture and increased the contrast in the second picture to make the decorations, typically Visigothic, more visible. 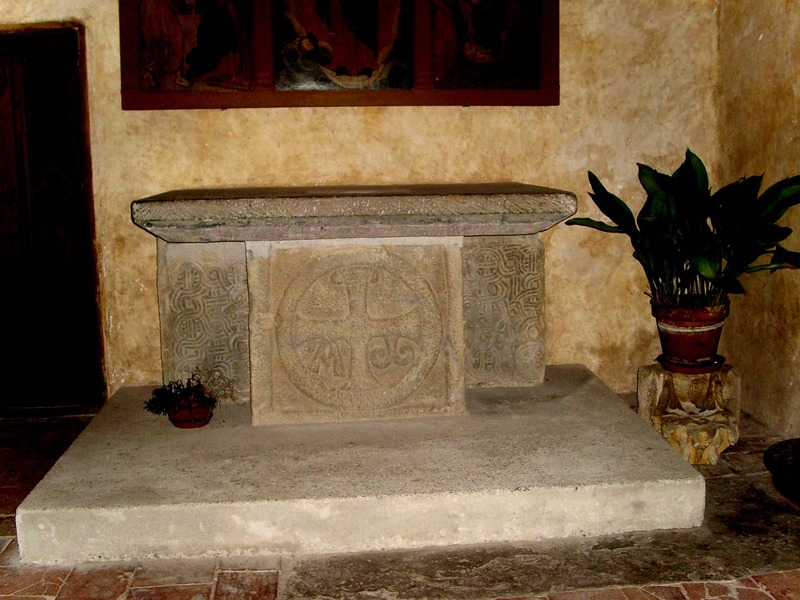 And there is yet another Visigothic altar! 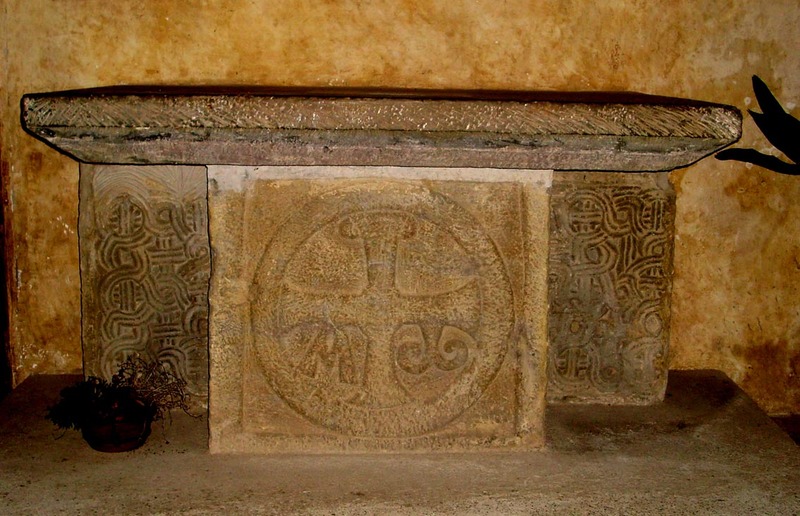 On it you can see "The Cross of Silence" very similar to the one of the much earlier Visigothic plinth at Rennes-le-Château. This design showed the cross with a handle, by which it was grasped and held aloft by the priest leading a procession. I think we can truthfully say that the "Cross of Silence" with its altha and omega, the beginning and the end, was typically Visigothic. 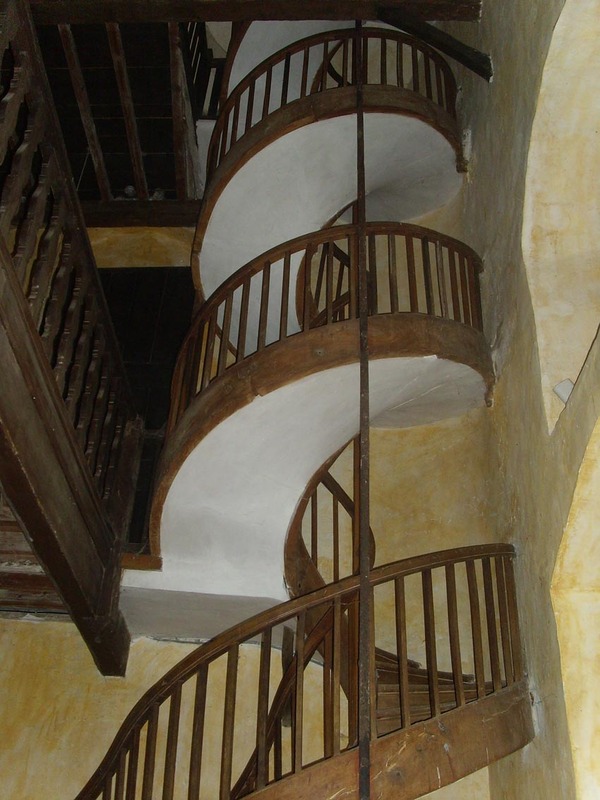 this idea came from the Gospel of St. John, which later became the favourite gospel of the Cathars. Coincidence? It was marvellous to see these things at St.Polycarp, so well preserved, but also I admired the architecture of the building. 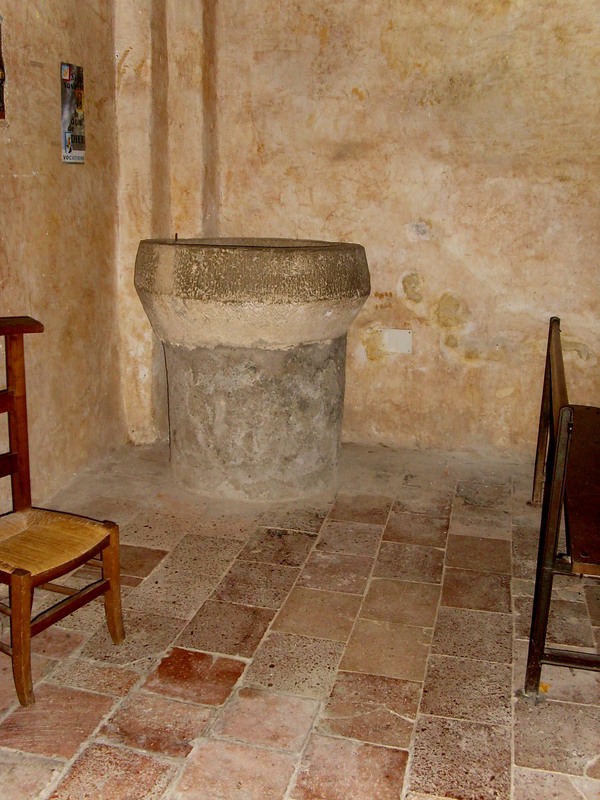 The font near the entrance is quite large but we can see that by this time, baptism was no longer the whole body baptism from the time of Jesus and John the Baptist. 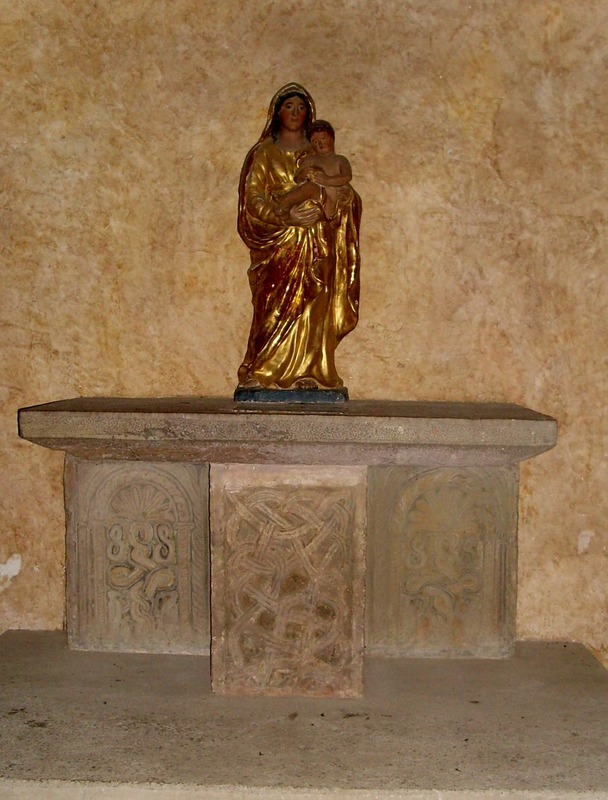 And here's two items from the church that are not Visigothic, but beautifully done, just the same. 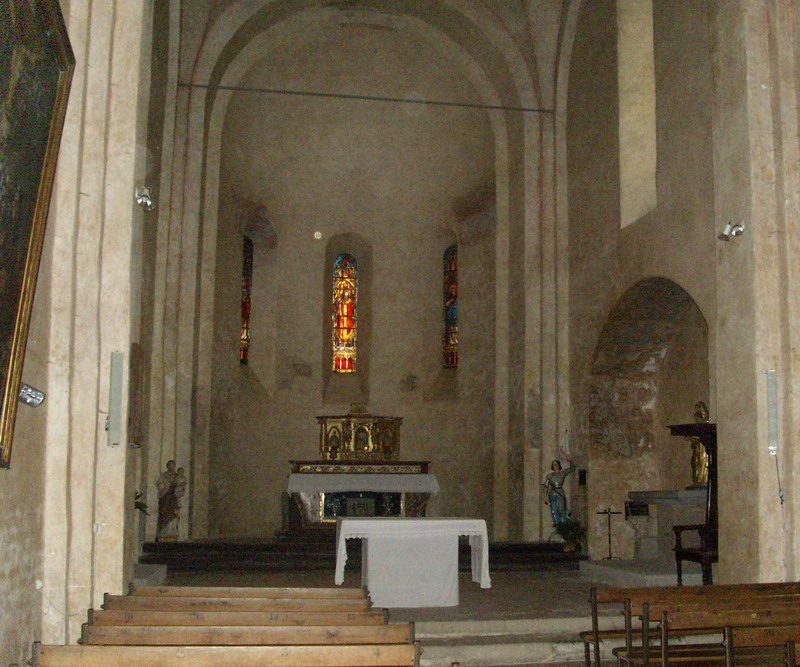 So next time you go to Limoux - do a detour to St. Polycarp.